Divshot has joined the Firebase team at Google! Firebase is a comprehensive suite of products for developers offered by Google, and by joining our vision with theirs, Divshot’s mission continues onward at a grander scale! 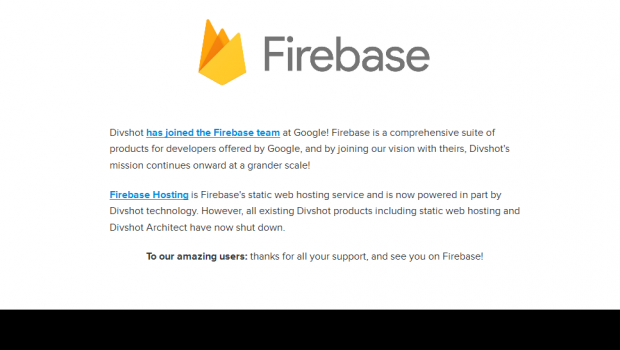 Firebase Hosting is Firebase’s static web hosting service and is now powered in part by Divshot technology. However, all existing Divshot products including static web hosting and Divshot Architect have now shut down.